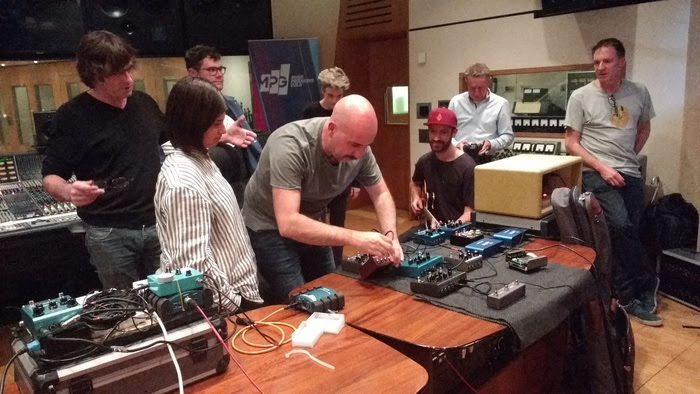 Our very own Andrew Hunt was back at British Grove Studios on 11th September to continue his groundbreaking series of Under The Hood demos – the MPG’s no-nonsense trials of particular gear that has caught the eye. 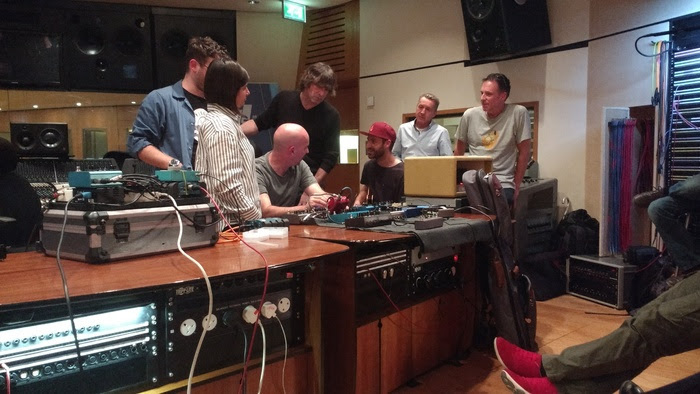 Andrew loves doing these as an antidote to all the stage-managed product demos that manufacturers foist upon us, and by inviting a panel of picky producers and engineers he really does lift the lid on what’s possible, what’s likely – and what’s impossible but we’ll do it anyway. 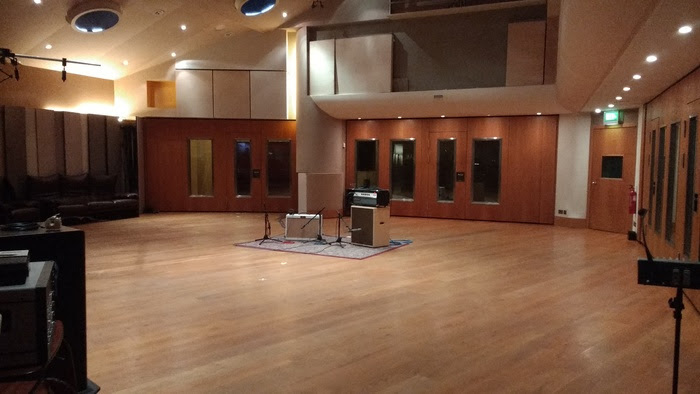 This time he brought along a sack-full of effects pedals made by a bunch of tech-heads in California with their own brand of signal-stranglers called ‘Strymon’ – all designed and made in Westlake Village, near LA, with mostly digital circuitry and the occasional analogue front end. They’ve established a thoroughly cool portfolio and even have distribution in the UK – courtesy of MusicPsych Ltd in Islington. 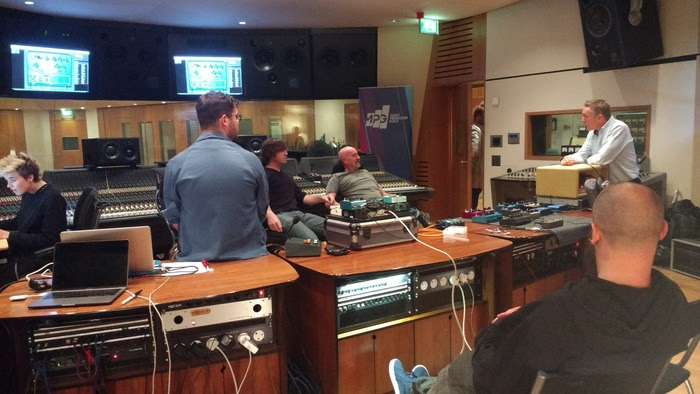 Andrew’s panel on this occasion included rock producer and guitarist Sean Genocky, LIPA graduate and SARM acolyte Steph Marziano and MPG ‘Breakthrough Engineer of the Year’ Brett Cox – who set about trying specific pedals firstly on guitar, then on drums, bass, vocals and brass – in other words, as hardware signal processors for a variety of sources and not just electric guitar. It was also decided to create a proper signal chain, rather than simply audition an individual effect, and to add them one by one. So guest guitarist Scott Nelson began with this configuration: guitar jack into Strymon’s Sunset Dual Overdrive; then the Lex Rotary, a ‘Leslie-fier’; the El Capistan Tape Echo simulator; and finally the BigSky Multidimensional Reverb… quite a route. 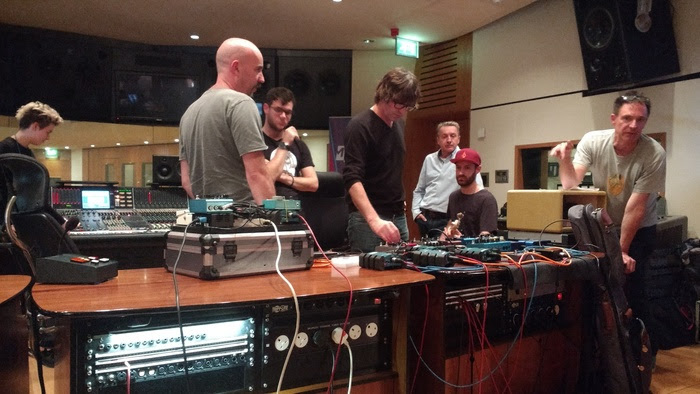 In due course further pedals were tested – including the Timeline delay, the Flint tremolo-plus-reverb and the Deco ‘tape saturation and double tracker’, a proper expanding headband of vintage reel-to-reel effects from flange to phase and chorus. It wasn’t long before somebody noticed the latency that occurs when you run the dry signal and the wet signal in parallel, and this came up again and again. When a bass was DI’d through the Sunset Dual Overdrive – a lot of time was spent marvelling at the sound this produced – a phase flip showed that it wasn’t in phase, and a discussion arose as to whether there was a way around that: if there’s no way to obtain true signal phase alignment, realistically this renders the pedal somewhat unusable in a studio environment – which everyone agreed was a real shame. 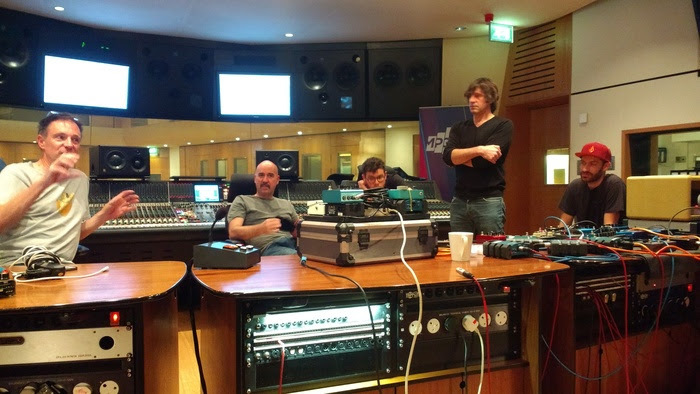 This and another question, about what does the combination of analogue front end and DSP actually achieve, were saved for a video Skype call to company co-founders Pete Celi and Gregg Stock – Gregg is the analogue designer, and Pete handles all the DSP. They discussed all the questions in detail and provided satisfactory answers – even promising to look into a way of sending a phase-aligned signal out of the Sunset following the suggestions of the MPG panel and guests. All in all, our panel was impressed: especially by the designers’ readiness to take the comments on board and make improvements. Come to the next Under the Hood session if you want this kind of insight!